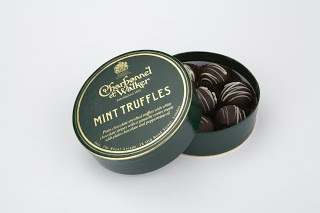 Luxury chocolates - I'm seriously lacking on the post front at the minute so I apologise for that. I've got an exciting post lined up which should be good and this hotel chocolat voucher code post I am SO buzzing about doing because I loved this company for so long it's untrue. So Christmas is fast approaching and sometimes finding presents for people that you don't want to spend a huge amount of money on can be stressful because you don't know what they would like! Clothes are too tricky but gift vouchers too impersonal, bath and shower sets can sometimes send the wrong message (it could happen, some people are easily offended!) However, the is one thing that EVERYONE (unless they are lactose intolerant) loves... Chocolate! 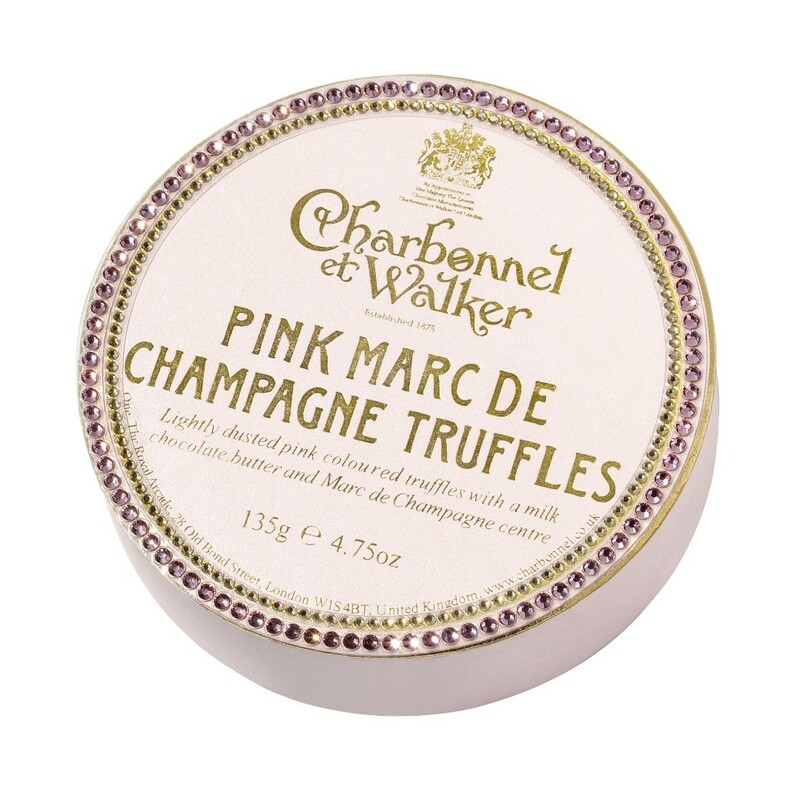 Charbonnel et Walker is the most amazing chocolate gifts company I have ever come across. Obviously you've got Thorntons and Hotel Chocolat, hotel chocolat cafe, hotel chocolat london, hotel chocolat sale, hotel chocolat tasting club etc. but Charbonnel just gives you that something extra. 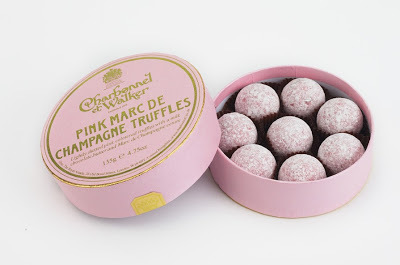 For the past 3 or so years now I have got a box of Pink Marc de Champagne truffles for my birthday and Christmas. See, they just sound posh! And they taste just as amazing chocolate hampers. 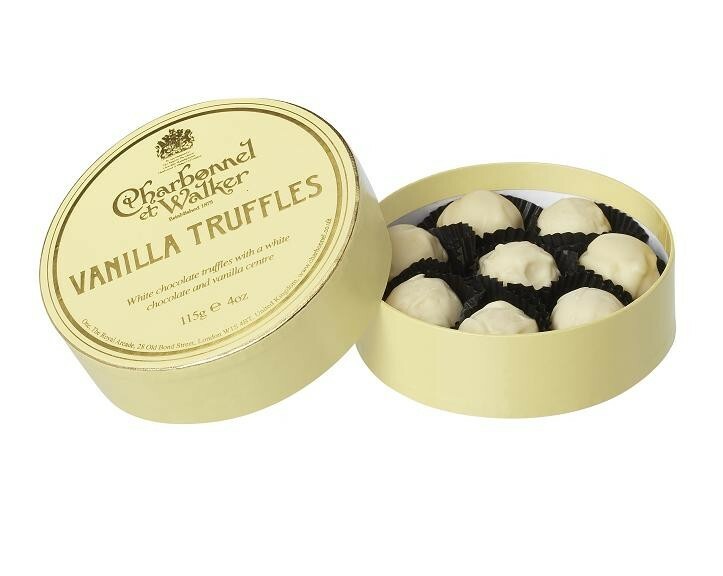 This box of 8 costs £11.95 which you may think is pricey for 8 chocolates but trust me, it's worth it. Firstly, the presentation of them is beautiful. 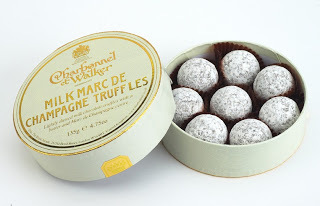 The boxes are gorgeous with the gold lettering and if you go into a Charbonnel et Walker shop (I don't know where they have them but there is one in Leeds) they wrap the box in a bow in a colour of your choice which is so cute. 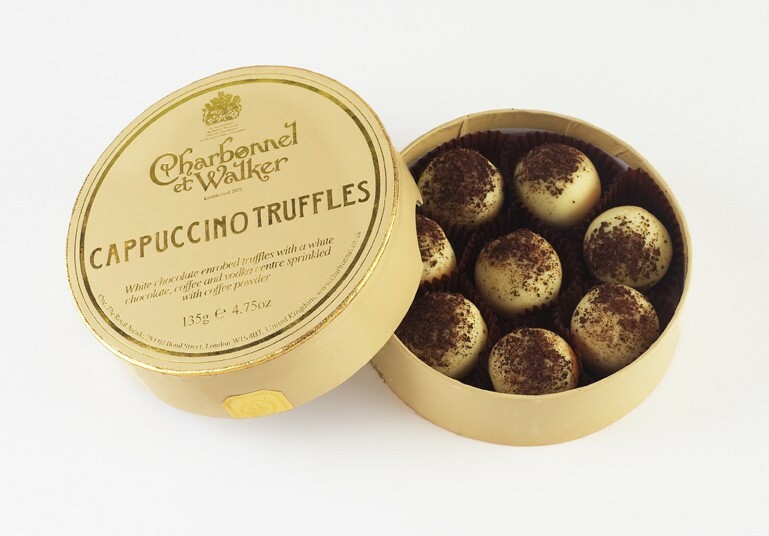 Therefore, they make the perfect little present or stocking filler I think! On my Christmas list are of course the Marc de Champagne ones, but also the Chocolate truffles and the Violet and Rose creams. Now I hate dark chocolate but the violet and rose creams are dreamy. 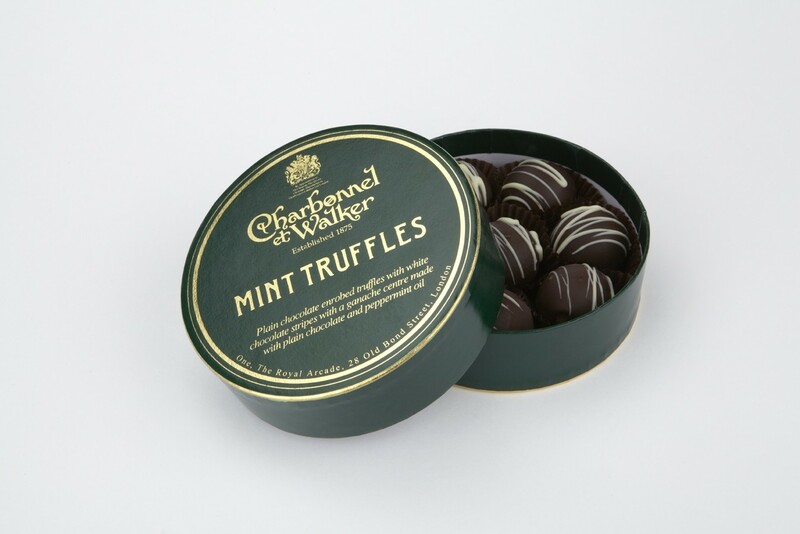 If you want to go a bit cheaper there is a really sweet box of 3 for £4.99 which would make a perfect little present. I got this for my friend last Christmas and she loved them and actually went and bought some more. You might be thinking these boxes all look really girly and you're looking for something for boyfriend, dad, husband, grandad, any other male! then they have so many other flavours to choose from. 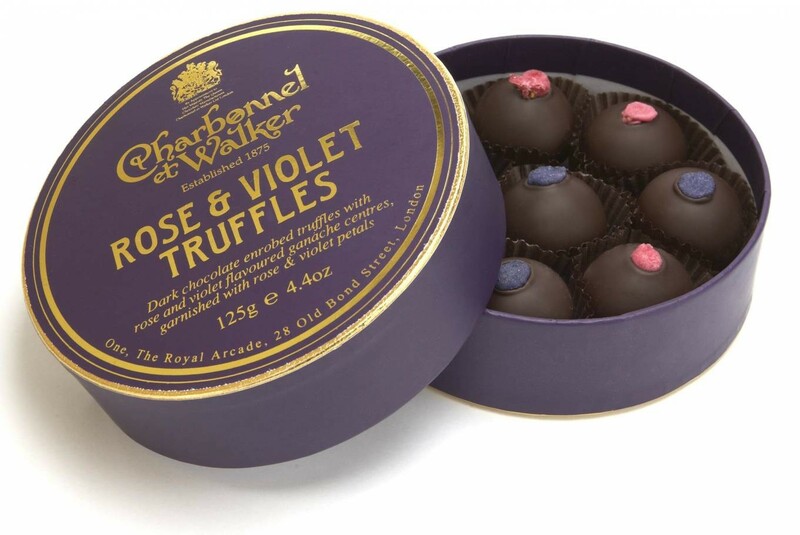 I picked out a few just to show you but if you visit their website they have so many more flavours, some more exotic. 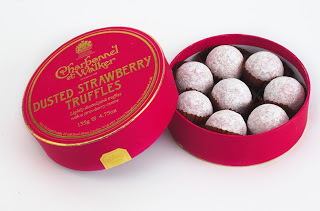 The final product from Charbonnel I wanted to share is the coolest box of chocolates I've ever seen. Swarovski crystal box! 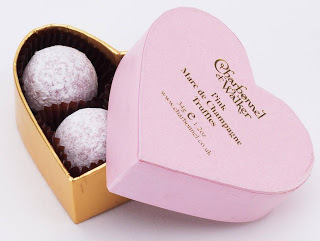 Now even I can't justify £50 (yes that's what it costs) on a box of chocolates. Well you're basically just paying for the box aren't you. But it is pretty! If you wan't to buy them in a store instead of on the internet then they have 2 stores in London, one in Liverpool and one in Leeds. However, they sell them in Harrods, Selfridges, John Lewis, Harvey Nicks etccc all the posh places! too right, posh places for posh chocolates.